For those of us who enjoy holding onto every last second of football we have, Sunday Night’s Super Bowl victory for the Philadelphia Eagles was a bit tough to swallow (not for Sean, of course). 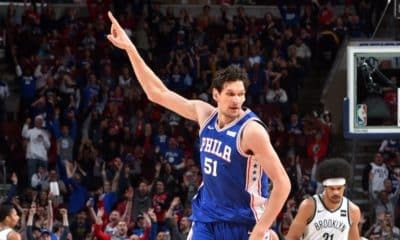 With no football again until August, though, and thus now in full control of the sports universe, it’s finally time for the NBA to kick into high gear as we’ve just moved past the 50-game mark. Coming up tomorrow is the league’s trade deadline, a time for some teams to upgrade in pursuit of a championship and others to create financial flexibility and/or accumulate assets for what value they currently have on the roster. This year’s trade deadline should be particularly interesting, given the amount of teams who probably feel they need to make a move in order to have any real shot in the playoffs. The size of that group, combined with the projected “financial crunch” that looms large over the entire league, makes this a deadline atmosphere in which almost every team should be evaluating options, perhaps content to stay pat but similarly hungry to jump on the right deal at the right price. 1. What move(s) will Cleveland make? Trouble in the Land has boiled to an all-time high, with the team now unquestionably staring dead into itself in the mirror as we head into the deadline. It’s so bad that we’ve even heard chatter about the possibility of Lebron waiving his no-trade clause, though those rumors have largely been squashed. Still, the Cavs will likely be incredibly active throughout the night and into tomorrow as they look to make a splash, with or without deploying the infamous “Brooklyn Pick” that they acquired in the Kyrie trade. With Boogie’s injury, CP3’s successful fit in Houston, and the Thunder’s commitment to running with Paul George into the playoffs, there isn’t much of a superstar “rental” market this year. 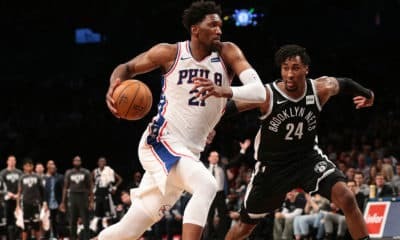 Thus, the Cavs will find difficulty locating a young star that would be a worthwhile use of the Brooklyn pick. There are, however, a bunch of above-average guys that seem to be on their radar, and I fully expect (at least) one of these guys to be in the Wine and Gold come Friday morning: George Hill, Kemba Walker, Goran Dragic, Ricky Rubio, Wilson Chandler, Deandre Jordan, and others. 2. Will anyone blow it up? Ah, the cusp of the rebuild. In the Warriors era of the NBA, it’s come sooner than expected for too many teams who are forced to weigh facing the harsh reality of not contending with the stigma of tanking. What will the Knicks do now that Porzingis is done for the year? After moving off of Willy Hernangomez already, look for them to explore future-facing deals involving Courtney Lee, Lance Thomas, Michael Beasley, or Kyle O’Quinn, all players who can help a contender this season. Or how about San Antonio? Might they finally find themselves as deadline sellers? Eventually they’ll have to make an aggressive pivot to the future, and it doesn’t seem like they can truly level with Golden State or even Houston. Look for Utah to have a fire-sale… they’ve got their guy in Donovan Mitchell and probably don’t care about much else right now. 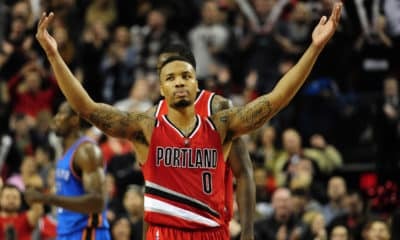 Perhaps Portland starts sweating a bit and looks to move off of McCollum or Lillard, too. Does Miami finally hit the panic button on their persistent mediocrity and get rid of Dragic or Whiteside? 3. Who will part with an asset improve this year? Boston, Toronto, Houston, Washington, OKC, and even Golden State are all rumored to be active, looking to acquire help for this year’s playoff push. The task is not easy, though, as only finding a true contributor is worth the price of a first-round pick or a young asset. 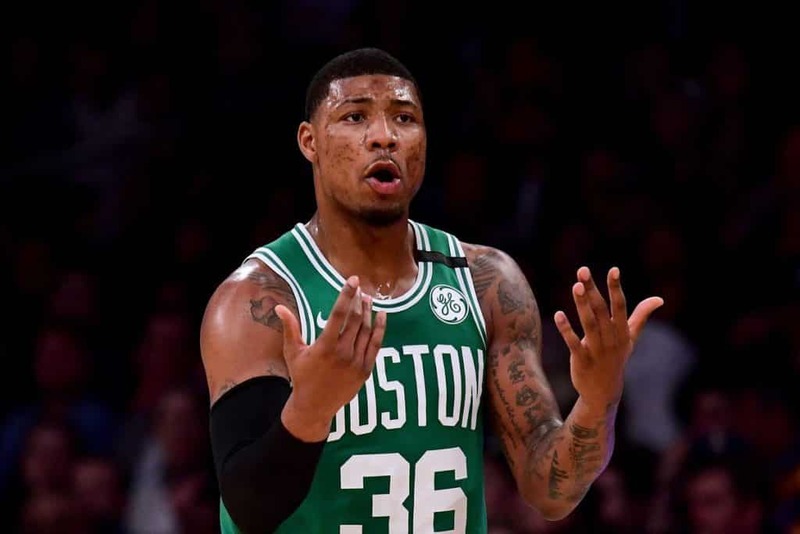 After Lou Will reupped in Los Angeles this morning, look for names like Marcus Smart, Avery Bradley, Tyreke Evans, or Wilson Chandler to be in the apple of these team’s eyes. Boston, in particular, has a giant chest of assets that it can responsibly deploy in their worthwhile pursuit of a championship this season. 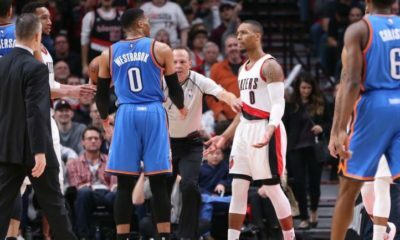 Other teams, like OKC for instance, have already spent most of their assets, are close to capped out, and will thus have to get creative in order to squeeze in someone new.